Requires Spotify Music, Deezer or the iOS Music app. Tested on Spotify version 8.4.24. Tested on Deezer version 6.20.0. 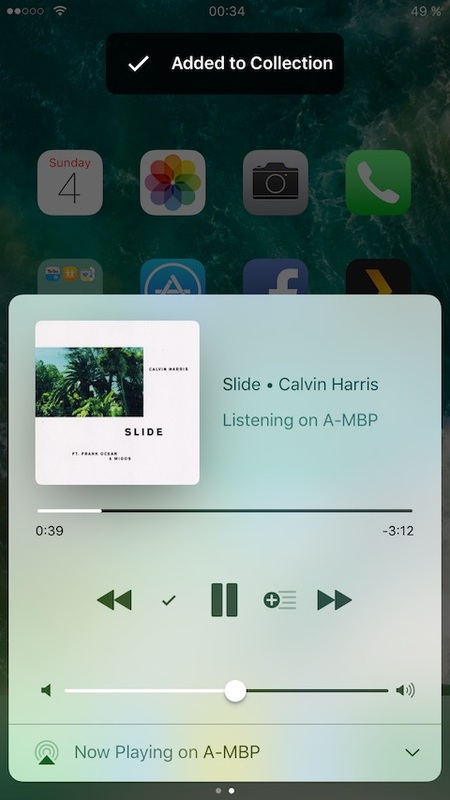 Adding the current track to Collection respectively Favourite tracks from Control Centre and Lockscreen is just a tap away. Will mark track as loved with the Music app. 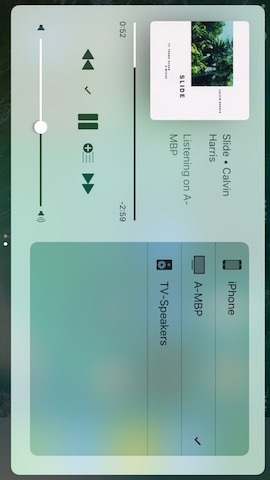 Add current track to a playlist from Control Centre and Lockscreen. You can choose to create a new playlist or select multiple ones. Select multiple by press and hold on a few playlists. 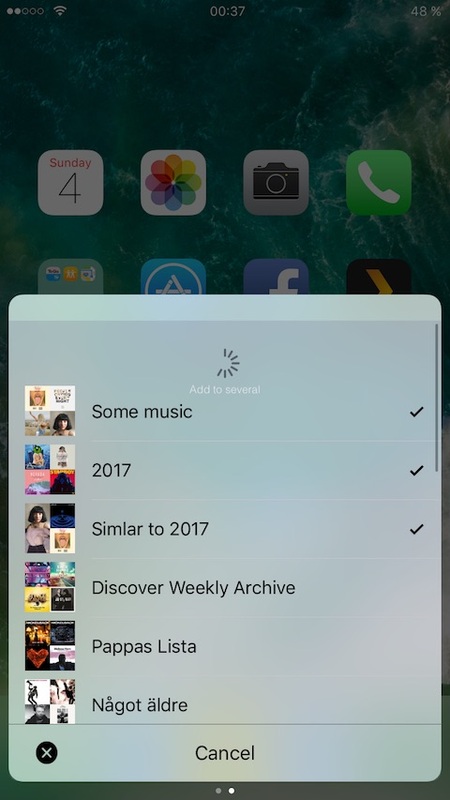 When you are satisfied with the choice of playlists, simply pull down (as if you would refresh the table) to add them. You can also choose to add directly to a prespecified playlist. It can check for duplicates. 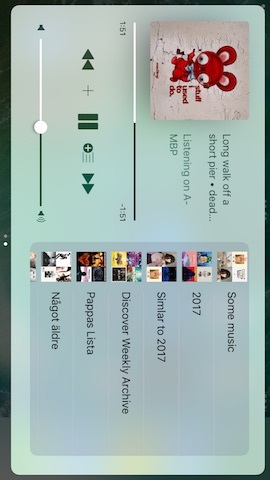 On lockscreen, the playlist view will appear on the Today view. If you want to leave the view without adding to a playlist, just swipe back to the standard page and it will disappear. 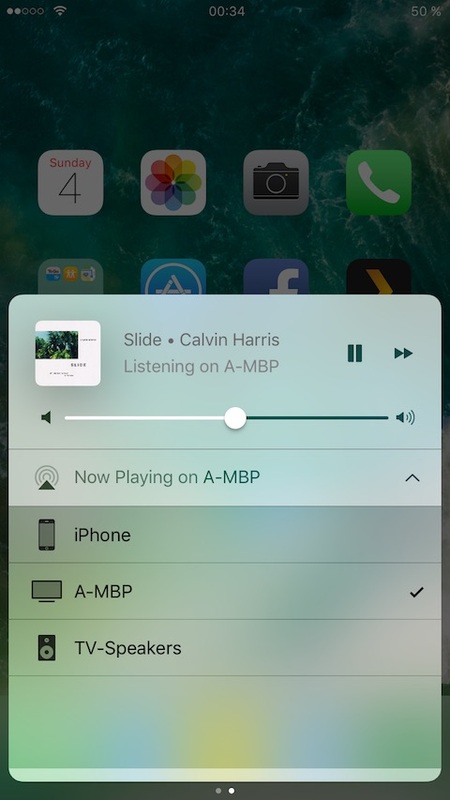 Control Spotify Connect devices in Control Centre's list of devices. It comes with the ability to change the icons amongst the standard ones Apple uses. Ability to control Offline Mode*, Incognito*, Shuffle** and Repeat by issuing a hold gesture on the album artwork. 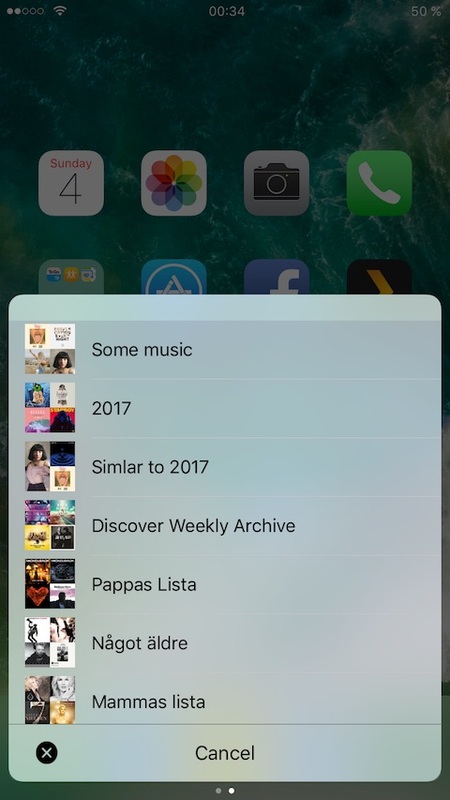 Automatically fetches playlist images from Spotify's/Deezer's servers to show in the playlist view. If you don't want it to download them on your data plan you can choose to only download images on WiFi or only manually if you please so. It will also clean up leftovers if you decide to remove a playlist. ** requires Spotify Premium if using Spotify. Works both in landscape and portrait mode. Apace has support for Horseshoe (version 2.1.1). Not tested with Noctis but developed with it in mind. However, if any problems arise, feel free to contact me and I'll try to solve them as soon as possible.